Professora Distingida, Universitat de Maryland y John Hopkins Bloomberg School of Public Health, Maryland Merck, Sharp & Dohme de España, S.A., i Presidenta de l’Associació Espanyola de Bioempreses (ASEBIO) Universitat Nacional Autònoma de Mèxic, D.F. MA, PhD, Chicago. President, Academy of Sciences and Humanities, Barcelona (Institut d’Estudis Catalans). Emeritus Professor of Sociology, University of Barcelona. Past Researcher or Professor at various British Universities. (King’s College, Cambridge, Reading, Lancaster, and West London). Visiting appointments at Universities of Rome, Yale, Buenos Aires, Mexico, Madrid, Sorbonne, Valencia (Venezuela) and others. 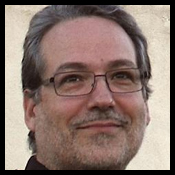 Co-founder and president, Catalan Sociological Association, and Spanish Sociological Association. Co-founder, European Sociological Association. 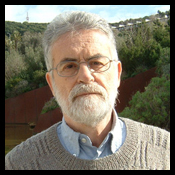 Editor and founder, Revista Internacional de Sociología, past member of Editorial Boards of several others (Sociology, -BSA-, European Journal of Social Theory) Founder and first Director, Instituto de Estudios Sociales Avanzados, National Research Council, Spain; Past member, Executive Committee. International Sociological Association; and Executive Committee European Sociological Association. Author of several works on the history of social theory and sociology, on European social structures, comparative macrosociological studies of Mediterranean Europe, and the sociology of morals, culture and religion. Co-editor of the Diccionario de Sociología. Author: Mass Society, Contemporary Europe, Class, Status and Power, Carisma y Razón, Teoría sociológica clásica, La societat catalana, El futuro del capitalismo, El origen de la moral. Raymond S. Bradley is a University Distinguished Professor in the Department of Geosciences and Director of the Climate System Research Center at the University of Massachusetts, Amherst. He did his undergraduate work at Southampton University (U.K.) and his post-graduate studies (MS, PhD) at the Institute of Arctic and Alpine Research, University of Colorado, Boulder. 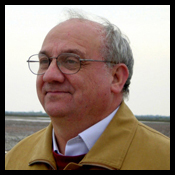 He also earned a DSc from Southampton University in 2003, for his contributions in paleoclimatology. He is a Fellow of the American Geophysical Union, the American Association for the Advancement of Science, the Arctic Institute of North America and he was elected a Foreign Member of the Finnish Academy of Science and Letters. He received the Oeschger Medal of the European Geosciences Union and was awarded a DSc honoris causa from Lancaster University (UK). His research focuses on climate variability over recent centuries and millennia, using instrumental and proxy records of past climate. His research has made major contributions to our understanding of climate change over the last century. He has made it clear that these changes are well outside the envelope of natural variability over recent millennia, and his research on natural forcing factors identified the role of pre-anthropogenic forcing in driving climate variability in the past. He has shown the critical importance of well-calibrated paleoclimate proxies for placing recent changes in a long-term context, thereby clarifying the important impacts of anthropogenic changes in recent decades. This led to him becoming the target of political attacks by global warming denialists, to which he has responded, in terms that provide a clear explanation of the issues involved, for the public at large. Bradley has written or edited twelve books on climatic change, and authored more than 170 peer-reviewed articles on the topic. He has long been a pioneer in linking environmental and in particular climatic change to the worlds of politics and business. Most of his career was in the Diplomatic Service. He was Chef de Cabinet to the President of the European Commission (1977-80); British Ambassador to Mexico (1981-83); Permanent Secretary of the Overseas Development Administration, now Department for International Deverlopment (DFID) (1984-87); and British Permanent Representative to the United Nations (1987-90). He was Warden of Green College, Oxford (1990-97), and undertook a wide variety of responsibilities in environmental and other fields, including President of the Royal Geographical Society, Convenor of the Government Panel on Sustainable Development, member of the China Council for International Cooperation on Environment and Development, Chancellor of the University of Kent, Senior Visiting Fellow at Harvard University, Adviser to the President of Arizona State University and Chairman of the Board of the Climate Institute of Washington DC. 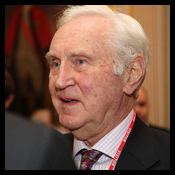 He also has business interests, including being director (non-executive) of IBM UK. He is the author of two books, and has contributed to many others. His interests go wide: they range from international governance and economics, to climate, African and pre-Columbian art, and the early history of the Earth. Distinguished University Professor both at the University of Maryland at College Park and at Johns Hopkins University Bloomberg School of Public Health, Senior Advisor and Chairperson Emeritus, Canon US Life Sciences, Inc., and President and Chairperson of CosmosID, Inc. Her interests are focused on global infectious diseases, water, and health, and she is currently developing an international network to address emerging infectious diseases and water issues, including safe drinking water for both the developed and developing world. Dr. Colwell served as the 11th Director of the National Science Foundation, 1998-2004. In her capacity as NSF Director, she served as Co-chair of the Committee on Science of the National Science and Technology Council. One of her major interests include K-12 science and mathematics education, graduate science and engineering education and the increased participation of women and minorities in science and engineering. Dr. Colwell has held many advisory positions in the U.S. Government, nonprofit science policy organizations, and private foundations, as well as in the international scientific research community. She is a nationally-respected scientist and educator, and has authored or co-authored 17 books and more than 800 scientific publications. She produced the award-winning film, Invisible Seas, and has served on editorial boards of numerous scientific journals. Before going to NSF, Dr. Colwell was President of the University of Maryland Biotechnology Institute and Professor of Microbiology and Biotechnology at the University Maryland. She was also a member of the National Science Board from 1984 to 1990. Dr. Colwell has previously served as Chairperson of the Board of Governors of the American Academy of Microbiology and also as President of the American Association for the Advancement of Science, the Washington Academy of Sciences, the American Society for Microbiology, the Sigma Xi National Science Honorary Society, and the International Union of Microbiological Societies. Dr. Colwell is a member of the National Academy of Sciences, the Royal Swedish Academy of Sciences, Stockholm, the Royal Society of Canada, and the American Academy of Arts and Sciences, and the American Philosophical Society. She is Immediate Past-President of the American Institute of Biological Sciences (AIBS). 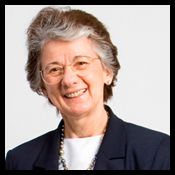 Dr. Colwell has also been awarded 55 honorary degrees from institutions of higher education, including her Alma Mater, Purdue University, and is the recipient of the Order of the Rising Sun, Gold and Silver Star, bestowed by the Emperor of Japan, the 2006 National Medal of Science awarded by the President of the United States, and the 2010 Stockholm Water Prize awarded by the King of Sweden. 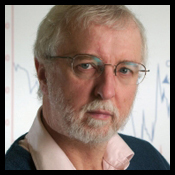 Dr. Colwell is an honorary member of the microbiological societies of the UK, Australia, France, Israel, Bangladesh, Czechoslovakia, Royal Irish Academy, and the U.S. and has held several honorary professorships, including the University of Queensland, Australia. A geological site in Antarctica, Colwell Massif, has been named in recognition of her work in the polar regions. Born in Beverly, Massachusetts, Dr. Colwell holds a B.S. in Bacteriology and an M.S. in Genetics, from Purdue University, and a Ph.D. in Oceanography from the University of Washington. Director of Policy and Communication, Merck, Sharp & Dohme, España. Since July 2011, President of the Spanish Bioindustry Association (ASEBIO). Degree and Doctor in Pharmacy. Complutense University, Madrid. Master in Management from IESE Business School, Barcelona. Master in Business Administration (MBA), EOI, Madrid: Research Director (1975-83). JUSTE SAQF Laboratories, Deputy Director (1983-91). Technological and Industrial Development Center (CDTI): Technological Policy General Director (1989-91). Ministry of Industry: Pharmacy General Director (1991-94). Ministry of Health: Food General Secretary (1994-96), Ministry of Agriculture: Member of several National Organisms including Scientific and Technical Advisory Commission (CAYCIT) and Technological and Scientific Interministerial Commission (CICYT). Representative of several International Organizations including The Scientific and Technological Council of the OCDE, the CPMP (Evaluation of Medicines) of the EEC, the Pharmaceutical Specialities Council (CEF) and the EUREKA program. Member of the Board of Directors in several public companies. Has received many merits and distinctions including the Medal of the General Council of the Pharmaceutical Association and the Great Cross (collective) of Health for the creation of the National Commission for the Evaluation of Medicines (CONEM). Member of the Royal Academy of Pharmacy (Madrid). Author of hundreds of publications in national and international press. 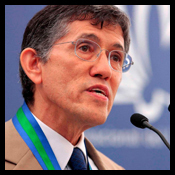 Born and educated in Mexico, Antonio Lazcano was trained both as an undergraduate and graduate student at the National Autonomous University of Mexico (UNAM, Mexico City), where he is currently head of a research group devoted to the study of early cellular evolution. He has studied the origin and early evolution of life for over 30 years and is the author of several books published in Spanish, including The Origin of Life, with over 800,000 copies sold. His current research interests include the chemistry of the origin of life, and the use of phylogenomic databases to reconstruct early stages of cell evolution. He was served twice as the President of the International Society for the Study of the Origin of Life (ISSOL, the first Latin American scientist to occupy this position. He is also the first Latin American scientist that has chaired the Gordon Conference on the Origins of Life, and has served on a number of advisory boards, including ones for NASA and other international organizations. Other distinctions and awards include his appointment as Distinguished Professor of the University of Henan (China) the Golden Medal for Biological Research (Puebla, 1990), the Medal of the Founders of the Universidad San Francisco de Quito (2005), the Premio Universidad Nacional en Investigación en Ciencias Naturales (UNAM, 2007), the First Francesco Redi Medal of Astrobiology in Florence, Italy, and the Honoris causa degree from the University of Milano, Italy (2008). 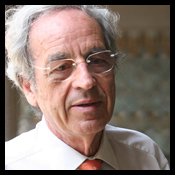 Director of Research Emeritus Honorary of French CNRS (National Center of Scientific Research). She was greatly aided by the Cell Biology Laboratory team she formed and led from 1974 until 2005 at the Oceanological Observatory, Banyuls-sur-mer, University Paris 6, France. Until 2000, she was Head of the Team of Research “Genome and Cell Cycle of Unicellular Eukaryotes” and until 1995 Head of the Department of Cell and Molecular Biology, and Head of the Electron Microscopy Unit, (1975-2000). Her research involved cell and molecular studies of Protists, including dinoflagellates. She identified and characterized molecules that govern the cell cycle, including entry into mitosis, cytoskeletal structure and organization; these molecules, for the most part, were still unknown. She elucidated the structure of dinoflagellate chromosomes—a peculiar structure that make the understanding of their replication and expression difficult— the composition of their chromatin and the maintenance of their chromosome structure by divalent cations and structural RNAs. 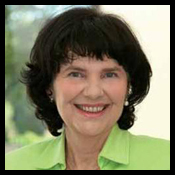 She has authored more than 130 publications mainly in peer-reviewed international scientific journals and more than 200 communications in congresses. She has been Lauréate of the Paul Wintrebert Foundation (1973), awarded the Trégouboff Prize of the French National Academy of Sciences (1988), Emeritus status of the National Center of the Scientific Research (2000), and Corresponding Member of the National Museum of Natural History (Paris) (2004). 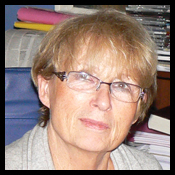 Among various functions, she has been appointed member at the National Committee of the CNRS, 28th section (Biology of the Organisms and of the Development) Vice President, appointed member at the National Council of the Universities (38th), and appointed member at the Scientific Council of the UER 62 of the Paris 6 (Pierre and Marie Curie) University. Elected member of the Administration Council of the Oceanological Observatory of Banyuls-sur-mer. Co-Founder of the International Society of Evolution of Protists (ISEP, USA). 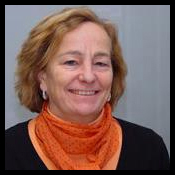 She is also Honorary Associate Editor of International Microbiology, the official journal of the Spanish Society for Microbiology. Full Profesor of Microbiology at the Universidad Autónoma de Madrid (1994-present). Member of the Centro de Biología Molecular Severo Ochoa (UAM-CSIC) (1977-present). Senior Scientist at the Centro de Astrobiología (INTA-CSIC) (1998-present). Research Associate at the Biochemistry Department of Dartmouth Medical School, New Hampshire (1973-1975). Research Associate at the Biochemistry Department of Columbia University, New York (1975-1977). 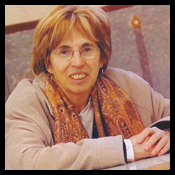 Dean of the Faculty of Sciences at the Universidad Autónoma de Madrid (1987-1994). Interdisciplinary Scientist of the Mars Express Mission (2002-present). Member of the Solar System Exploration Working Group of the European Space Agency (2011-2013). Group Achievement NASA Award for its participation in the Mars Analog Research and Technology Experiment (2006). Torre de Nerva Award (2007). Member of the Editorial Boards of International Microbiology, Astrobiology, Extremophiles, and Microbial Cell Factories. Scientific activities: functional evolution of ribosomes, total reconstitution of ribosomes, biomining, bioremediation, specific metal sequestering, microbial ecology of extreme environments, molecular biology of extremophiles, astrobiology. Dean of the College of Natural Sciences and Professor of Microbiology at the University of Massachusetts Amherst. From 2000-2009, he served as Associate Dean, and later, as Dean, of the College of Natural Resources and the Environment. He received a B.A. in Zoology from the University of Maine in 1976. In 1980 he completed a M.S. in Environmental Science from the University of Virginia, and earned a Ph.D. in Bacteriology from the University of Wisconsin in 1986. He was employed as a research hydrologist in the Geochemical Research Group of the Water Resources Division of the U.S. Geological Survey from 1980 to 1986. He joined the faculty of the Department of Microbiology at the University of Massachusetts in 1986. His research has spanned the fields of microbial ecology, anaerobic digestion, microbial synthesis and biodegradation of polymers, bioenergetics of microbial growth in extreme environments, and groundwater microbiology, microorganisms in waste disposal, material recycling, and energy recovery. His research has been funded by the National Science Foundation, the Office of Naval Research, the Massachusetts Department of Environmental Protection, the U.S. Department of Defense, the New Energy and Industrial Technology Development Organization of Japan, and the Pew Charitable Trust. 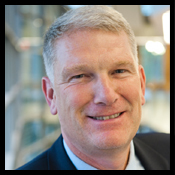 He served as President of the Bio/Environmental Polymer Society in 2000 and continues to serve as a reviewer for several journals and federal agencies. He has taught undergraduate and graduate courses in general biology, microbiology, microbial ecology, cancer and AIDS. He has won Outstanding Teaching Awards from the College of Natural Sciences and Mathematics and the College of Natural Resources and the Environment. He has also conducted research into how students learn, with emphasis on the use of technology to enhance student learning. Graduate in Biology from the Autonomous University of Barcelona (1977). Doctor in Zoology (Animal Behaviour) from the University College of Wales, United Kingdom (1981). Since 1999, Director of the Natural History Museum of Barcelona. From 1997 to 1999, Director of the Zoology Museum of Barcelona. Project manager of the new premises of the Museum, the “Museu Blau” (2011). Co-curator and coordinator of the 3,000-m2 permanent exhibition “Planet Life” (2012). Exhibition curator of the exhibition “The other architects” (2003). 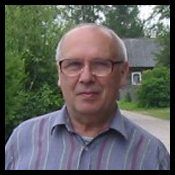 Author of articles on Museology and Bioacoustics. Speaker in courses and conferences of Museology and Museography. From 1982 to1997 creator and curator of the Wildlife Sound Library and publisher of the scientific publications of the Museum and catalogues of exhibitions. General Secretary of the XXIII International Ethological Conference (1989-1993). External examiner of PhD Thesis on bioacoustics and lecturer at several courses of doctorate in Bioacoustics. Co-editor of the identification guide Animales de las ciudades de la Península Ibérica e Islas Baleares. Author of articles on acoustic communication of primates. Scientific adviser of biological and museological publications. Biologist, science writer, science editor, and translator. Collaborator of the Microbial-Ecogentics Group of the University of Barcelona. Associate Editor of International Microbiology. Member of the Editorial Board of Treballs de la Societat Catalana de Biologia and Panacea. Freelance collaborator of various magazines (print and online) and newspapers. Scientific coordinator of the Museu Blau project of the Barcelona Natural History Museum (2009-2011). Author of a miscellaneous blog, in which posts on science, medicine and technology are predominant. Past President of the Catalan Association for Scientific Communication (ACCC) and Past Vicepresident of the Catalan Society for the History of Science and Technology. ACCC representative at the European Union of Science Journalist’s Associations (EUSJA). Co-director of the project on history of science “One Hundred Years of Catalan Medicine”, granted by the Institute for Catalan Studies. Coauthor of Orígenes: del big bang al tercer milenio (2000), Walks Through the Scientific World of Barcelona, (second edition, 2006), and awarded the “Premi de Literatura Científica 2004” for her popular-science book Cròniques de l’altra veritat. Coeditor of Pensament i ciència als Països Catalans (2011). “Medalla d’Honor” (Honor Medal) of the City Council of Barcelona (2003). Chief Scientist, Head of Genetics Laboratory at the Institute of Marine Biology, Vladivostok, Russia (1971-2007), Emeritus (2007-present). Was a member of the Editorial Board of the Soviet (Russian) Journal of Marine Biology (1975-2010). He has chaired, among others, the Symposium on Population and Evolutionary Genetics at the 12th International Congress of Genetics (1978, Moscow, USSR), Symposium on Genetics of Marine Organisms at the 14th Pacific Congress (1979, Khabarovsk, USSR). As a Visiting Research Professor worked on many occasions (1994-2004) at Bodega Marine Laboratory, University of California, Davies, USA. In 1988-1989 worked at the Institute of Scientific Information (Philadelphia, USA) and since then was involved in scientometric studies, published a few papers in this field co-authored with Dr. Eugene Garfield. The “Related Journals” option at the Web of Science was an implementation of their results, published in the Journal of the American Society for Information Science and Technology (2002). In co-authorship with E.Garfield and V. Istomin developed a software package HistCite freely available for the subscribers of the Web of Science. Tenured Professor of Biochemistry and Molecular Biology at the University of València, researcher at the Evolutionary Genetics Unit, Cavanilles Institute for Biodiversity and Evolutionary Biology (València) and Member of the Institute for Catalan Studies (Catalan Academy of Science and Humanities). His research interests include the evolution of metabolism, the minimal genome concept, and the history of ideas on the natural origin and the artificial synthesis of life. He teaches metabolism with an evolutionary flavor to biologists, biochemists and biotechnologists. Former Secretary of the International Society for the Study of the Origin of Life (ISSOL-The International Astrobiology Society) and current Second Vice President of ISSOL for the term 2011-2014. His most recent book, coauthored with A. Moya, is Simbiosis: seres que evolucionan juntos (Síntesis, Madrid, 2011). Full Professor of Microbiology at the University of Barcelona (1988-present). Adjunct Professor at the Univ. of Massachusetts-Amherst. Research Fellow at the Univ. of California-Davis (1972-1973). Member of the Institute for Catalan Studies, and currently its Scientific Secretary. Fellow of the Linnean Society, the American Academy of Microbiology, and the Academia Europaea. Awarded the Medal Narcís Munturiol of the Generalitat (Autonomous Government) of Catalonia and the Prize of the Fernando González Bernaldez Foundation. President of the Spanish Society for Microbiology (SEM). His studies on microbial ecology were pioneers in Spain, where he worked on the photosynthetic anoxigenic bacterial communities of karstic lakes and microbial mats. Primary research papers on genetics, biochemistry, bacterial ecology and environmental microbiology. Founder (1998) of International Microbiology, the official journal of the SEM. He has chaired, among others, the 6th International Symposium on Microbial Ecology (1992), the 10th International Symposium on the Studies of the Origin of Life (Barcelona, 1993), and the 10th International Symposium on Phototrophic Prokaryotes (2000). Besides his activity in teaching and research, he has contributed notably to various programs and activities on science communication. External curator of the current reference exhibition (“Planet Life”) of the Museu Blau (Blue Museum) of the Barcelona Natural History Museum.